The decision to put an offer on what would become Phifer Pavitt came about on a date night. From the owners’ perspectives, every big decision was made together on a date night and the results have exceeded their expectations. 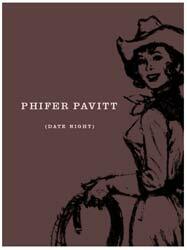 Their passion for date nights even led them to create Phifer Pavitt Date Night Wine. Cabernet Sauvignon and Sauvignon Blanc are their specialties. Handcrafted by renowned Napa Valley winemakes, these wines push wine quality to new heights.